Ethan Couch, the teenager who admitted he was responsible in the drunken driving crash that killed four people last summer, was sentenced to 10 years probation Tuesday. Couch, 16, will be sent to a juvenile facility before being sent to a treatment center. In the meantime, Couch will not be allowed to live with or stay with his parents. Prosecutors had sought the maximum penalthy for the teen, 20 years behind bars. Defense attorneys said the teen needed treatment, not incarceration. 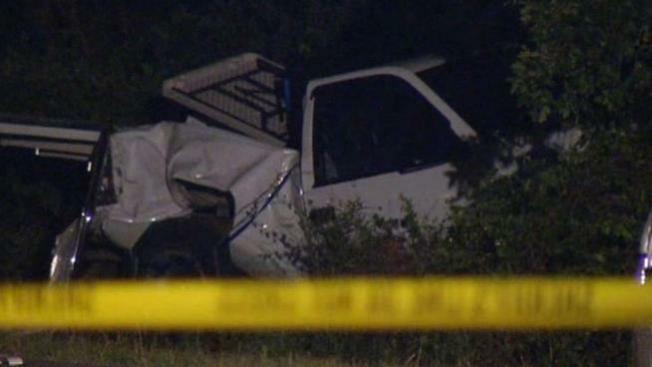 The teen was driving a truck loaded with seven other teenagers when he crashed into several vehicles, rolled the truck and lodged it in a tree. The June 15 crash killed Breanna Mitchell, 24, whose disabled SUV was stopped along Burleson-Retta Road in southern Tarrant County. She was being assisted by mother and daughter Hollie, 42, and Shelby, 21, who lived nearby, and youth pastor Brian Jennings, 43, who had stopped to help Mitchell. Eric Boyles, who lost his wife and daughter, told the Fort Worth Star-Telegram that family wealth helped the teen avoid incarceration. Testimony read by a registered nurse, who took blood samples from Couch, said the first blood draw done for medical testing at 2:20 a.m. the next morning showed Couch’s blood alcohol level was at .277. A second blood sample drawn at 3:27 a.m., after Tarrant County Sheriff’s investigators had gotten a warrant to collect the sample, later showed that Couch's blood-alcohol level was 0.24, or three times the legal limit. Testimony read from a toxicologist at the Tarrant County medical examiner’s office stated that a BAC of that level makes you 80 times more likely to be in a motor vehicle accident. NBC 5's Eric King and Chris Van Horne contributed to this report.